Sophisticated noise-voyagers COCOB sail post-rock yachts past power-chord crashes, bouncing tweaked art-pop frequencies against roaming digital metronomes building shimmering waves of graceful relations. 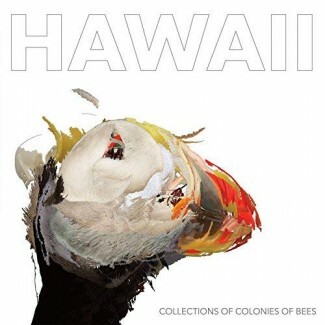 An ephemeral paradise shining with new-born glee and well-established ease, “Hawaii,” welcomes distinct strategic kinks into smooth musical executions, micro-massaging bright ideas into radiant harmonic sunshine. The Milwaukee ensemble plays Washington Park Summer Concert Series August 8th.